Google is involved in a lot more than most people understand. While most of us are familiar with the technology company’s initiatives in music, broadband, travel and search engines, not many people know that Google is actively involved in improving the state of mental and behavioral health in America. In 2015, Google’s parent company, Alphabet, hired Dr. Thomas Insel, the former head of the National Institute of Mental Health, to find ways to use technology to transform mental healthcare. Insel will be leading neuroscientist at Verily, a Google Life Sciences company. Before transitioning to google, Dr. Insel was the director of the National Institute of Mental Health, the world’s leading funder of behavioral health research, for over a decade. According to the New York Times, his decision to switch to Google is no small personnel matter for the behavioral sciences. Dr. Insel has exhaustive knowledge of the brain and behavioral scientists and has recruited some of the top researchers into the brain sciences from other fields. He took over the NIMH in 2002 and made his name studying the biology of attraction and pair bonding. After taking over, Insel began steering funding towards what most consider to be the most severe mental disorders like schizophrenia and into basic biological studies. This is in contrast to psychosocial research, which critics of Insel argue provides more meaningful clinical help for patients. In his new job, Insel will turn back towards psychosocial research using new tools to detect psychosis early with language and analytics algorithms. 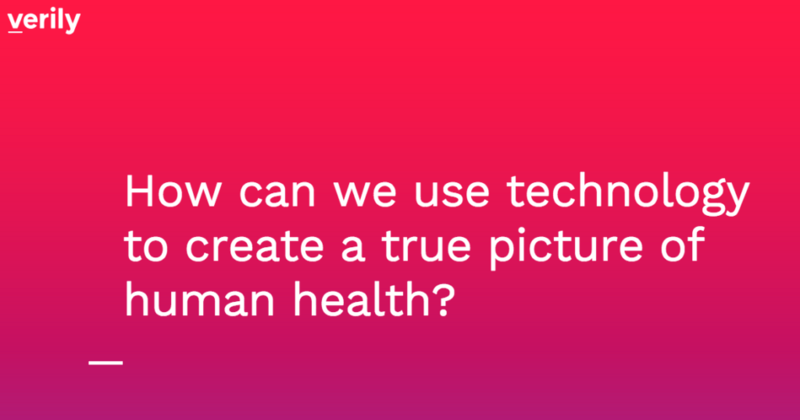 Verily’s goal is to bring together technology and life sciences to uncover new truths about health and disease. The organization’s team uses advanced research tools, large scale computing power and technical expertise to develop new technology, launch studies and start companies. From a hardware perspective, Verily’s team is building new devices and tools that are smaller, more powerful and more convenient than ever before. With these new tools, those affected by mental health conditions can monitor conditions more consistently and preemptively signal when something isn’t right. Currently, Verily is working to develop a contact lense with an embedded glucose sensor, which would make it easier for people with diabetes to monitor themselves continuously by measuring glucose levels in their tears. On the software side, Verily’s software engineers, analytics experts and UX designers are working to create new platforms, products and algorithms that can analyze complex health information. With these tools, patients and medical professionals can gain the power to identify patterns that could reveal early warning signs, more accurately diagnose disease, or point to more effective treatment. For example, Verily’s team is working on a research program to address multiple sclerosis that combines wearable sensors with traditional clinical tests using new-lab based tests to gather and analyze complex data. With machine learning algorithms and computational techniques, the life sciences company aims to identify signals that could lead to new knowledge about the disease and why it tends to progress differently among individuals. Along with hardware and software research and development, Verily also has science and clinical teams researching to gain a better understanding of the processes that lead to conditions like cancer and heart disease. They are also working on advanced imaging methods for a wide range of applications like early diagnoses and surgical robots. Additionally, they are working to uncover information that the greater health research community can leverage in the future. Insel said in an interview with the New York Times that he’d like to develop a wearable sensor to measure mood, cognition and anxiety. The device would track sleep and language use for red flags that could signify mental health issues. Essentially, it would be FitBit for your mood and sanity. However, this is a much more complex endeavor. Rather than simply tracking physical activity like the FitBit, Insel’s device would need to correlate a patient’s physical state with a possible mental state. Because everyone experiences stress in different ways, this could be particularly challenging to accomplish. For example, someone with an elevated heart rate could simply be focused, rather than stressed out. If Insel’s idea works, it could potentially help address rising suicide rates in the US by saving lives with early intervention. A tracker could alert health or legal authorities when a depressed person may need help. With Insel’s new tracker, your mental health data could be tracked and automatically sent to a mental health professional to be analyzed. While Insel and Verily’s innovations could be potentially revolutionary for behavioral health, many medical professionals are skeptical of the implications of tracking technology. Some are concerned with privacy issues. It remains to be seen who tracked information would be shared with. A company psychologist? A doctor of your choosing? And, what will healthcare workers do when they are informed that you are not in an optimal mental state? Will they simply make gentle recommendations, or will they have greater power to prevent you from working or carrying out daily activities. Today, there is no technology that exists that can actively and reliably measure emotional stress. While there is technology that offers hints, the patterns of mental illness are not universal. Few would argue that Insel’s mission to prevent people from suffering when they experience is a noble pursuit, however, a lot work will need to be done to ensure mental health monitors don’t end up doing more harm than good if they are ever rolled out to the general public.